Talent: Ryan Hough, Josh Shah, Arlene Robbins. Focused on multi-functional, everyday objects that are simple, intuitive and beautiful, Lumio creates modern lighting systems with the simple goal of giving people the freedom to experience beautiful lighting wherever they are. Lumio is one of those companies you hope of having the opportunity to work with at one point or another: Clean design, beautiful products, and a unique brand personality—so when we began talking with them about shooting some promos for their new product, the Mini Lumio+, we were thrilled. 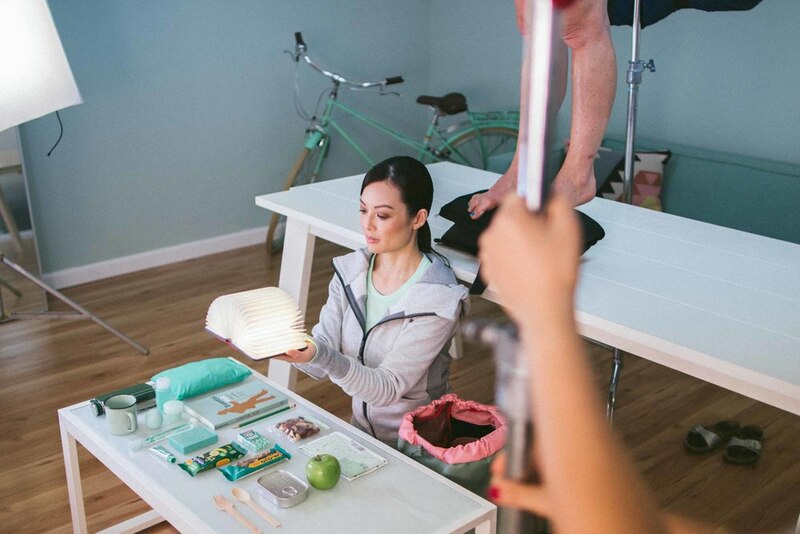 Building off the success of their first product, the Lumio Book Lamp, we were tasked with shooting a spot that highlighted key features of the new product. The hardest thing about this project in particular was the complexity of sequencing, wardrobe/props, locations, and talent. Because of the unique aesthetic—it made all the planning that much more important, knowing that any little mistake would be that much more noticeable. After a jam-packed week of shooting in San Francisco, our team came back to the east coast to bring this spot to life. In the end, we're excited with how the piece came together. A very big shout out to the entire team that helped make this project possible!